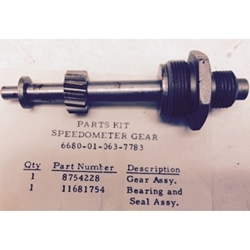 M151 Parts Kit Speedometer Drive. These are NOS kits and fit all Mutts. Includes gear and bearing/retainer which has the important oil seal in it.